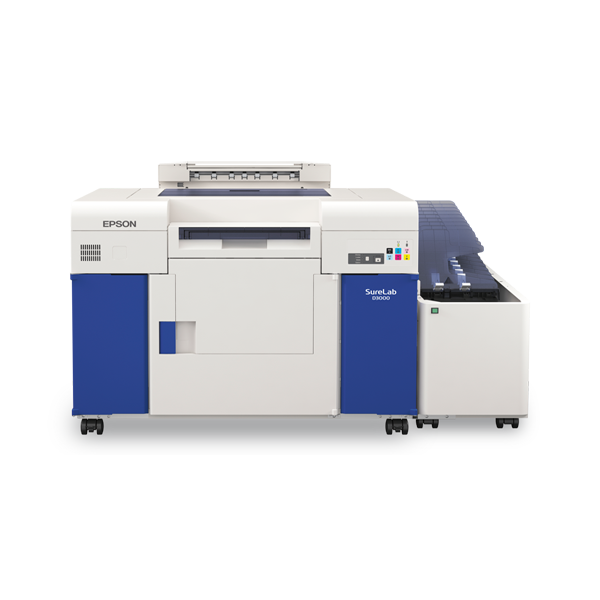 Epson’s UltraChrome D6 six colours photo ink-set achieves a wide colour gamut that exceeds that of silver halide, yielding long lasting prints that are vivid and lifelike with excellent black density. Besides regular glossy paper, prints can also be made on matte paper, giving you more options to print cards and other collaterals. 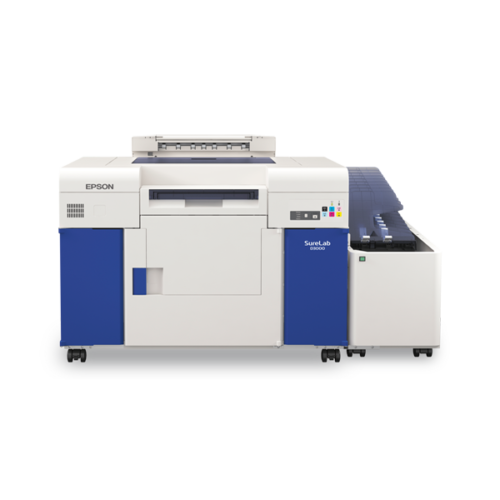 High-speed printing is achieved through the clockwork coordination between the high performance Micro Piezo™ print heads; employing multiple nozzles and cutting edge Variable Size Droplet Technology (VSDT), and software-controlled rollers to ensure that papers are precisely fed. An optional sorter unit automatically sorts up to 10 jobs, offering you reliability and peace of mind to tend to other matters. The bundled system software guides you through a maintenance process that requires no special training to use. The newly developed SureLab “”OrderController”” is an optional proprietary software with basic photo re-touching functions that can help you easily process high volumes of photos. 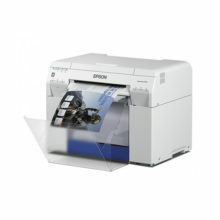 Print media such as panoramic photos, 12-inch width and other large prints are supported on SL-D3000. This capability can be extended to include large format and fine art prints. Chemical liquids and their disposal costs are eliminated through the use of environmentally friendly, high capacity and competitively priced ink cartridges that allow you to do more with your budget and for the environment. 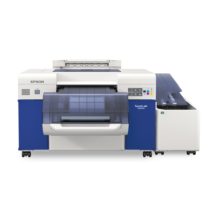 In addition, the print engine is built with durable components to support large volume commercial photo use while minimising the need for periodic part replacement.